Microbial biofilms play important roles in ecology, industry and most importantly in the human health. Extensive research is being done to study their involvement in chronic infectious diseases. Yeasts, members of the Kingdom fungi, are no exception and flourish as biofilms in their natural habitats. Yeasts either exist as a part of human microbiota or reside in close proximity environment and may turn pathogenic to cause superficial or systemic infections. The majority of these infections involve growth in biofilm form. Particularly, a large population of immunocompromised individuals and patients using prosthetic devices are susceptible to biofilm related infections. Candida, Cryptococcus and Histoplasma are the major yeast species responsible for high morbidity and mortality associated with mycoses. Interestingly, these yeasts colonize host tissues or medical devices to form biofilms which are highly resistant to antifungal drugs. Also, biofilms may act as a reservoir for recurrent infections and consequently complicate the antifungal therapy. Efforts are being done to characterize biofilms as an important virulence factor in fungi. This review, with a special emphasis on Candida albicans , discusses biofilm formation and associated drug resistance. 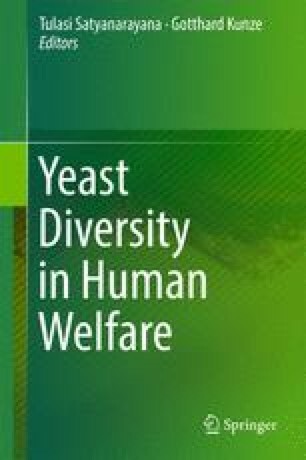 Also, the involvement of yeast biofilms in human diseases and the therapeutic strategies are briefly reviewed. Dr. Raut Jayant S. is thankful to UGC, New Delhi, for the award of Dr. D.S. Kothari Postdoctoral Fellowship. Raut J.S. and Doke S.K. have equal contribution to this book chapter. Ramage, G., Rajendran, R., Sherry, L. and Williams, C. 2012. Int. J. Microbiol. doi: 10.1155/2012/528521.